This dvd is not like the normal dvd you would get. 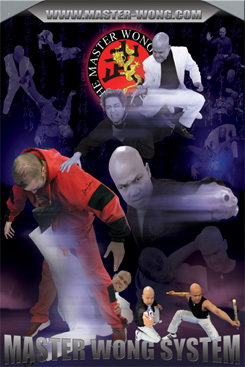 It’s a full dvd which is action packed with all the advance skills Master Wong has to offer. Imagine all your best parts of your favourite movies all put on to one disc! To navigate round you have to select the images as no text are used. You will mysteriously find your way round and discover what the Master Wong system is all about. This dvd was designed to fit Master Wong’s character, just get straight to the point and action. Lets see how many videos you are able to discover with this unique style of navigation. With over 3 hours of the most advance skills from the Master Wong system you will be entertained for a few hours. Videos include a wide variety of martial art styles such as JKD, tai chi and wing chun, turning day-to-day objects into lethal weapons. You’ll be amazed at what can be done with a piece of rope or a small piece of stick! You’ve heard the benefits of Tai Chi and how it can improve your health, in this video it’s a complete contrast of what tai chi is known for nowadays. Tai was originally created for combat but as time has gone by, its use for health grew popular and the truth slowly disappeared. You can now witness how tai Chi can be lethal once used in combat, it will blow your mind! As time has progress so has Master Wong, his skills has gone to another level. Yet again many of the styles shown in this video are based on techniques that is adaptable in today's world of combat. We no longer fight in forms like the traditional way back in the 18th Century. To survive you have to use what is practical and that is what Master Wong has delivered to you! There's a lot martial arts to discover on this DVD and they are all listed below. You have a running time of 200 minutes to watch all these entertaining videos, and when you're done you just can't wait to begin your training! Some of the training videos previewed inside this dvd are already available to purchase on download. Please visit the download section on the shop to see availability. 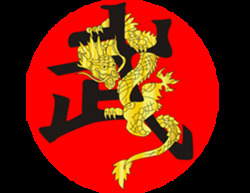 Wing chun - Sil Lim Tao Advanced, Chum Kiu advanced, Biu Jee advanced. JKDBody Weapon - Ground fight l,ll,lll, Knife training, stick training, Gun training, Spike training, Rope training, Handcuff training, mag-lite training. If you have more then 3 items in you’re order, which may lead to a high shipping fee. The shipping fee will be re-evaluated by staff and part of the shipping fee would be refunded if shipping charge was less then what you paid. If you wish to have your order shipped special delivery, which will be tracked, extra shipping fee will be charged depending on the size of your order or what you've paid doesn't cover the cost. Orders over £100 will be tracked if this shipping method is applicable to the country. It can take around 3-5 working days for customers in the U.K to receive their order and 7-14 working days for Europe or worldwide. Please be aware that at times depending on the country it can take up to 21 days. If you have not received your order within 24 working days please do contact us and we will deal with the issue. Orders will be sent standard delivery unless it has been arranged for special delivery.